A hologram of an elder asura suddenly pops up just seconds after the previous notice. "Salutations and excelsior citizens of Rata Sum! My name is Krewe Chief Julius." Are you a star student who just graduated and is seeking a krewe? Do you have a keen interest with history? Relics? Ancient Tomes of Asura history? Do you believe that our answers for the future lies within the past itself? 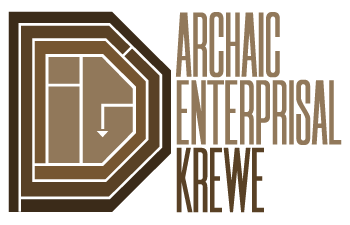 May I present the newly formed Archaic Enterprisal Krewe! Our mission is simple: Discovery lost parts of history and strive to rekindle that knowledge onto the modern world... as well as make a profit from our discoveries. Applicants simply need to apply through the proper channels. Send a letter to Nakir Razin.9318 [in-game username] or Jules#8312 [discord] expressing your interest and we'll get you sorted out as soon as possible! That's all for now; hope to see you at the dig site! 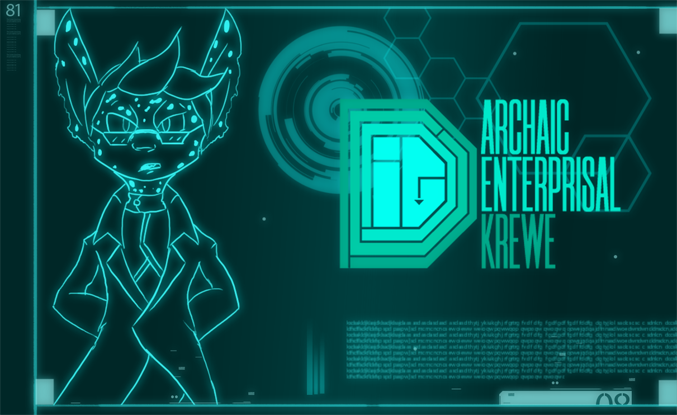 The Archaic Enterprisal Krewe is a newly formed guild with the aim of creating a casual setting for all members! We wish to aim small to medium size roster for the purpose of RP and future PVE events! If in the event that you are interested BUT don't have an asura, we may still accept your character but we do implore that in the future create an asura. The members of the krewe will be more than happy to offer you assistance if you are need of a session about RPing an asura. Please be aware that this guild will have low numbers of members at the time of this post but we hope this post will be enough to gather attention for fellow rpers seeking a guild. P.S I want to add a thank you note for Sirah [ krewe leader of whee ] for helping me out form this guild (krewe). The Guild has done two successful rp events and are planning to obtain a guild hall within the next month or two! Okay first, I absolutely LOVE the design theme for your forum post! The whole Logan's Run, Andromeda Strain, 2001 A Space Odyssey- 1970's Future Space theme is my absolute favorite and perfect for a Krewe. This is dope, well done! Oh thank you! The Logo was designed by a friend of mine but the actual asura drawing is by me. I was actually for that type of theme when trying to design the format of this recruitment page. So just a heads up! Our status for recruitment is closed due to the sudden influx of applications! With many new members, we're going to go ahead and organize everything within the guild before we open up once again. KazukoHimura This is the guild my character was talking about IC that day in LA. Need help with finding artifacts? Want someone else to get their hands dirty instead of yours? Edit: WE ARE NOW OPEN FOR RECRUITMENT!